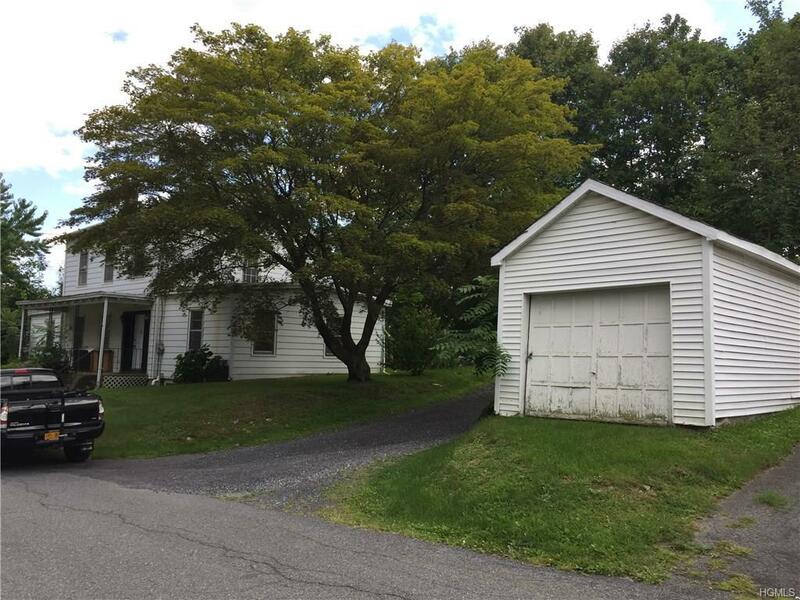 2 Family home, well maintained and centrally located in the Hamlet of Marlboro NY with walking access to post office, bank, market, deli, bakery, cleaners, restaurants, music venue, and other services. This home is fully rented currently delivering $24,300 in annual income. The first floor apartment has two entrances, a large eat in kitchen, family room and large Master Bedroom plus 2 smaller bedrooms. The second floor apartment is a 1 bedroom, with eat in kitchen, family room, newly renovated bath room and deck that provides seasonal river views. The boiler has just been replaced. Centrally located about 20 minutes from the Beacon and Poughkeepsie Metro stations, this is a perfect location that provides easy access to NYC via rail and is also close to major interstates Rt 84 and the NYS Thruway.